Memorial Day is finally here. That means different things to different people. First and foremost, it means that we get a chance to honor the fallen troops that have served in the defense of our country throughout its history. Americans have been observing Memorial Day traditions for more than a century. Unofficially, this holiday weekend also marks the start of the long summer vacation season. And that means it’s time for another long established American tradition: the outdoor barbecue. To get ready for another season of outdoor grilling, you’re going to need to inspect your gas grill (as it’s likely to have been in the garage for months) to make sure you’re properly prepared to make it through the summer safe and sound. One of the unpleasant realities of cooking with a gas grill is the danger of an accidental fire emergency. In an average year, grilling-related accidents cause some 20,000 injuries and about $75 million in property damage. unit a good cleaning with a wire brush (unless it’s new, of course), removing any residue left over from the previous season. Use a paperclip to clean the burner’s flame openings. Use a “spider” brush to clean the venturi tubes. Then give the entire burner assembly a thorough inspection, looking for any corrosion from the long winter layoff, especially at the metal seams. If any parts have significant rust damage, they should be replaced. There’s a handy how-to guide (with illustrations) at the naturalhandyman.com website for tips on cleaning and repairing your gas grill. 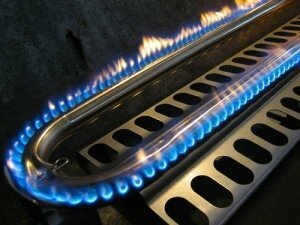 The guide emphasizes that you disassemble and clean the burner whenever the unit has not been used in a prolonged period. Finally, re-install the cleaned burner into the grill assembly and take your grill for a “test ride” to make sure all connections are secure and that the flames from the burner are responding to the controls and burning evenly from all gas jets. When you’re satisfied that everything is in good working order, you’ll be able invite guests over for a good old-fashioned holiday cookout, with confidence. And make sure to give a tip of your chef’s hat before you get caught up in your grilling to remember the real meaning of Memorial Day.